The Castleshaw Trophy is for the most points in Field Trials, and is available to all PTA members. The winner this year was Mr Wayne Skett with his dog Emmanygan Ultra which gained a 1st place in a 2 day stake and a COM in a 1 day stake giving a total of 23 points. 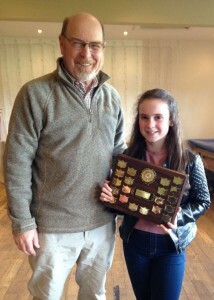 The Pennine Trophy (for the most points in Field Trials). The member must have attended a minimum of four training classes during the previous 12 months (ie since the last AGM). There were no nominations this year. The Sybil Buckley Memorial Trophy. 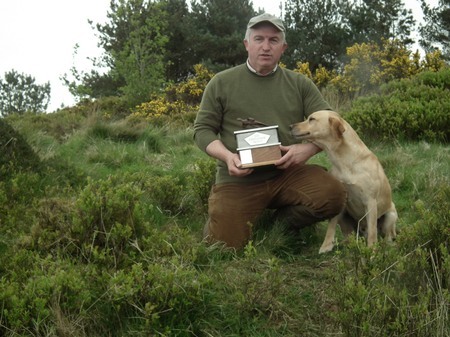 Presented to the dog scoring the most points in Working Tests and Field Trials. There must be at least one Working Test award and one Field Trial award to qualify. Handlers must have attended a minimum of three training classes during the previous 12 months (ie since the last AGM). There were no nominations for this trophy. The Sobaka Cup is presented to the handler scoring most points in Working Tests and matches under the auspices of the PTA. The winner this year was Mrs Roz McIlroy. The Warpersmoss Shield has been kindly donated by Mr & Mrs D Robertson and was awarded by the Committee for the most deserving dog/handler attending training classes. After discussion at the November Committee meeting it was decided that the winner would be Miss A Collier. Proposed by Mrs J Smithies – the vote was unanimous. The Castleshaw Trophy is for the most points in Field Trials, and is available to all PTA members. 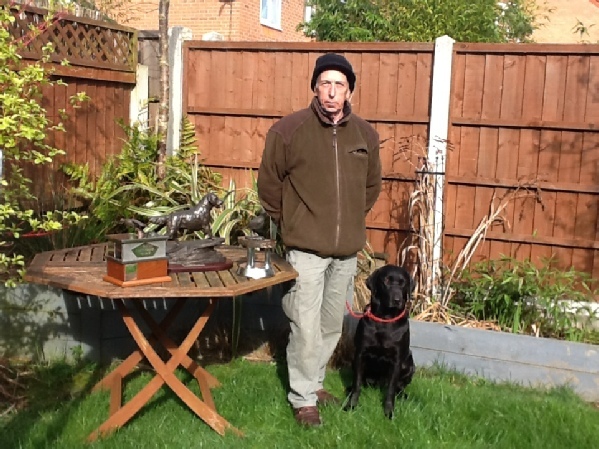 The Pennine Trophy (for the most points in Field Trials). The member must have attended a minimum of four training classes during the previous 12 months (ie since the last AGM). The Sybil Buckley Memorial Trophy. 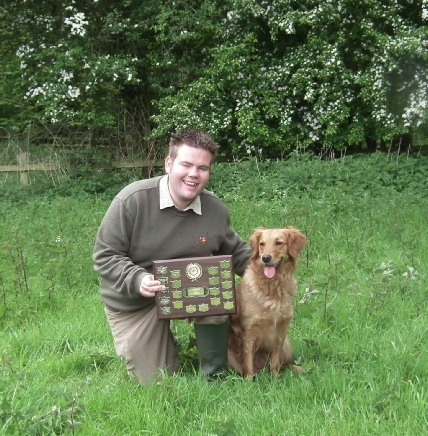 Presented to the dog scoring the most points in Working Tests and Field Trials. There must be at least one Working Test award and one Field Trial award to qualify. Handlers must have attended a minimum of three training classes during the previous 12 months (ie since the last AGM). Peter Thompson with Thornyoaks Topaz. Photo courtesy of…. The Sobaka Cup is presented to the handler scoring most points in Working Tests and matches under the auspices of the PTA. 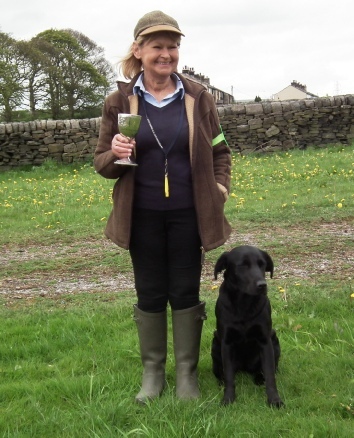 There was a tie for the cup – Linda Scott with her dogs Ticefield Golden Years and Hawscotmoor Fern, and Gary Collier with Thornyoaks Tanzanite and Thornyoaks Carroway – both scored 22 points. The Warpersmoss Shield has been kindly donated by Mr & Mrs D Robertson and was awarded by the Committee for the most deserving dog/handler attending training classes. The winner was Dave Tabbinor. The Castleshaw Trophy is for the most points in Field Trials and is available to all PTA members. 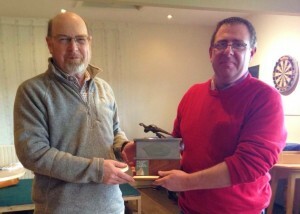 The award was presented to Mr Tim Merrill with his dog Glenanne Oak. 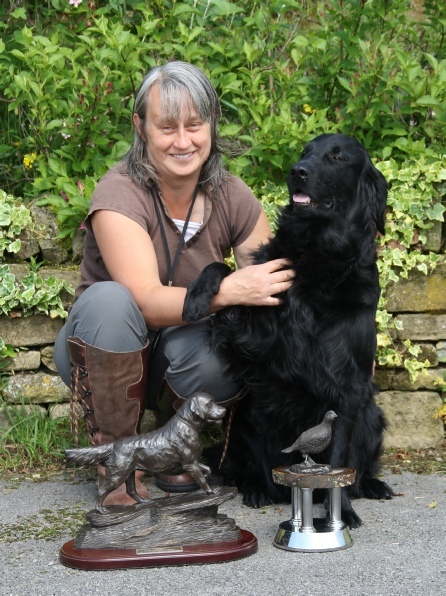 Both of the above trophies were awarded to: Caroline Hewison and her Flatcoated Retriever Maddistream Indigo Jade at Casblaidd. The Sobaka Cup was also presented to the handler scoring most points in Working Tests and Matches under the auspices of the PTA. The Joint winners were: Gary Collier and his dogs Greenbriar Brun, Thornyoaks Tanzanite, and Thornyoaks Carroway, and Roz Mcllroy with Applebriar Mackenzie, Autumnwillow Scout, and Sealpin Gunna. The Warpersmoss Shield has been kindly donated by Mr & Mrs D Robertson and was awarded by the Committee for the most deserving dog/handler attending training classes. The winner was Carl Barber. © All photos are copyrighted by their respective owners. All rights reserved. Unauthorised use is prohibited.